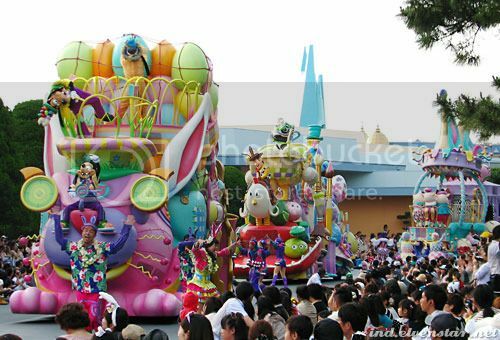 I happened to be near the parade route in the late afternoon and decided to hang around for the Easter Wonderland parade. 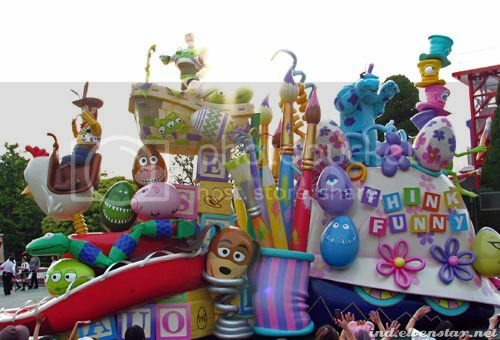 I hadn’t taken any pictures of the parade itself in the morning so I decided to dedicate this round to photos. Waiting for a parade to start meant people-watching first. 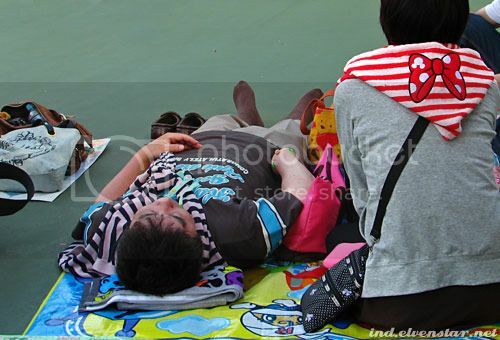 Saw another fellow dozing on his mat. 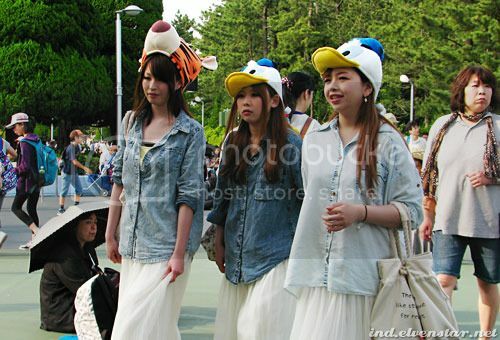 Three friends walked past, each with a Disney hat, denim shirt and white pleated ankle-length skirt on. Interesting combination. Belle..? 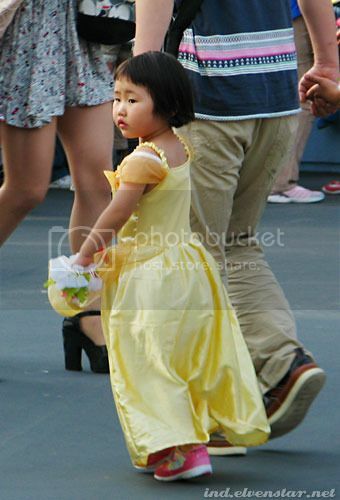 Doesn’t really look like Belle’s dress but no other Princess gown is yellow so must be that one. 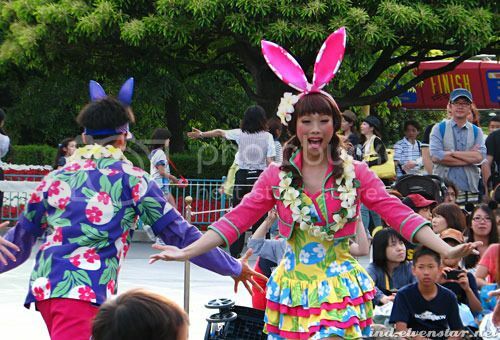 Prior to the parade, the Cast Members teach the audience how to play the Easter Bunny version of rock-paper-scissors: usa-tama-pon (bunny-egg-hop). In hindsight I should’ve arranged the pictures above in that order but instead I’ve put them (from left to right): pon, usa, tama. The little kids in the audience get to play this game with the dancers at several points in the parade. Oh, the aim of usa-tama-pon isn’t to beat the other person, though. The aim is to get the same action as the person you’re playing with. 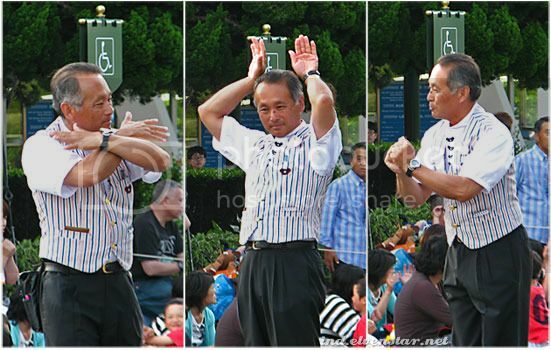 So if I’m playing with X and both of us do the “bunny” action, then yay, we both win! If I do a “bunny” and X does a “hop”, then awwww too bad – try again! 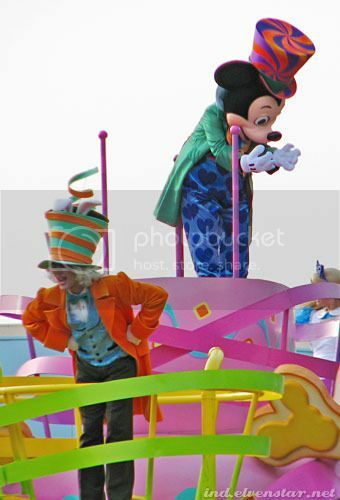 The Mad Hatter and Mickey in a mad hat. 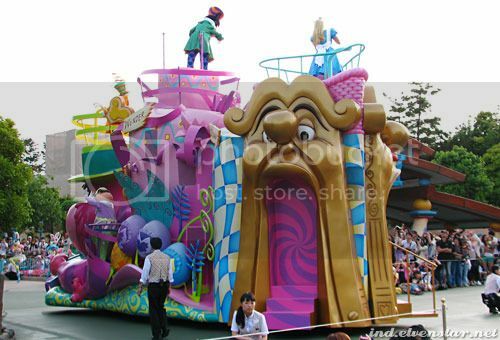 The Alice in Wonderland float. Hawaiian-themed. The girls’ outfits were actually kinda fun-looking. 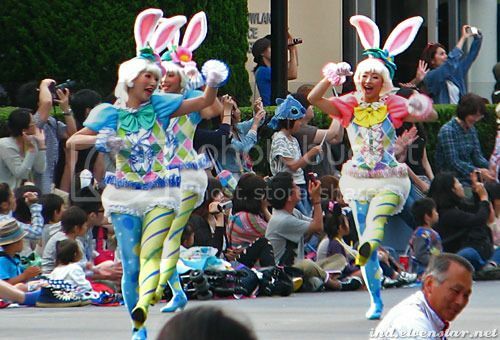 I’d wear them (minus the bunny headband) if the skirt was about two inches longer. Lots of eggs and bunnies and pastel colours. More dancers. 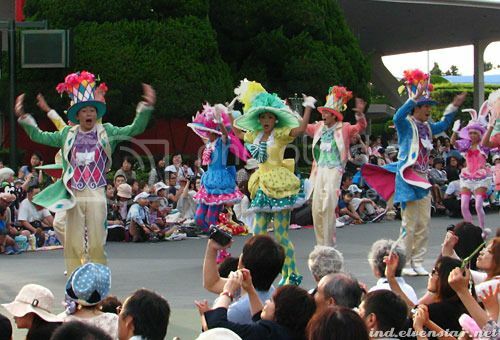 I wonder how they affix the hats to their heads such that the hats won’t fall off in spite of all the dancing and jumping they do. 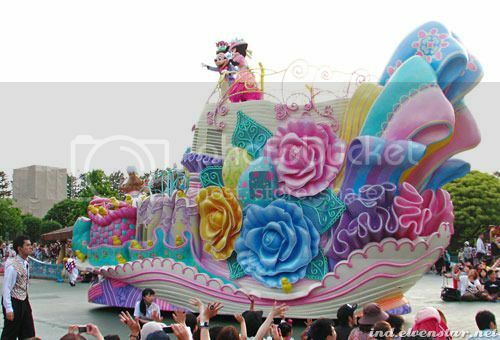 Mickey and Minnie on the final float. After the parade, I did some more wandering around. 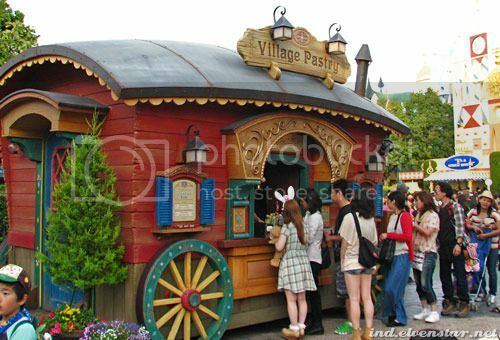 Here’s a pastry stall – which had a loooong line of people waiting to buy stuff. 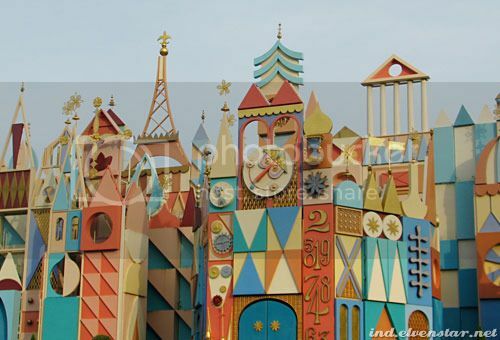 Walked past the Small World attraction again. Went into a gift store. I like the signboard. 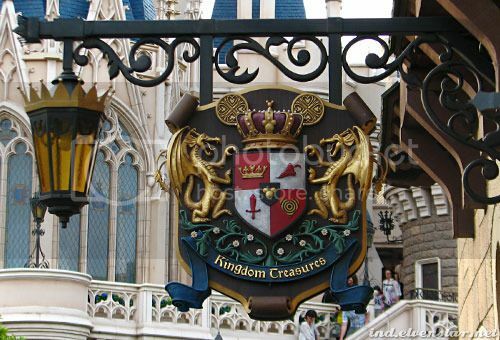 And lol, I’ve only just noticed the mouse ears around the crown. Next, and lastly: The Disneyland Electrical Parade.